Winnie the Pooh just can't catch a break. Released to theaters in July, the same weekend as Harry Potter and the Deathly Hallows, Part 2, it was summarily crushed at the box office and never recovered, barely making back its $30 million production cost. Granted, Pooh didn't exactly scream summer blockbuster, but up against the overwhelming forces of Hogwarts, it could never gain any traction. So, when the time came for Winnie the Pooh's home video release, what did Disney do? Sandwich it between the releases of the box office hits Pirates of the Caribbean: On Stranger Tides and Cars 2. If Christopher Robin falls down in the Hundred Acre Wood, does he make a sound? Pooh has been available online and in stores for over a week now. Hopefully, you noticed. Just in case you didn't, though, do yourself a favor and buy it, rent it, stream it--most importantly, just find it--and enjoy. It's a charming return to the gentle characters first introduced by A.A. Milne and brought to life by Disney over forty years ago. The silly old bear searches for honey, gloomy Eeyore loses his tail and Christopher Robin is captured by a monstrous imaginary creature (or not). That's pretty much all that happens and it couldn't be more delightful, particularly set against those lovely, hand-drawn, 2D watercolor backgrounds. 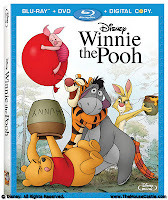 Bonus features on the DVD and movie download versions include deleted scenes and "The Mini Adventures of Winnie the Pooh," which consists of the "Little Black Rain Cloud" segment from the first Pooh short, 1966's Winnie the Pooh and the Honey Tree. 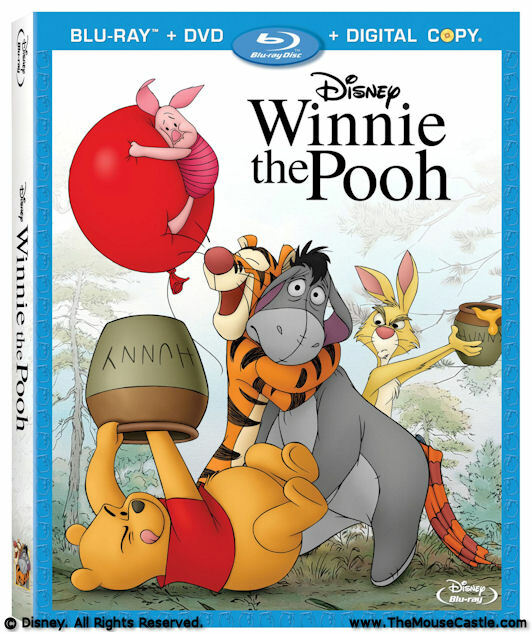 The Blu-ray version also includes a behind-the-scenes short, "Winnie the Pooh and His Story Too" and a sing-along feature that puts the film's song lyrics on screen. Sadly missing is a commentary track. Insight from Winnie the Pooh's directors Stephen Anderson and Don Hall or even veteran Disney artist and story man Burny Mattinson, who worked on all the Pooh films, would've been greatly appreciated. Best among the bonus material (available on all home video versions) is The Ballad of Nessie, the silly sweet short cartoon about the title creature's search for a new home in Loch Ness.